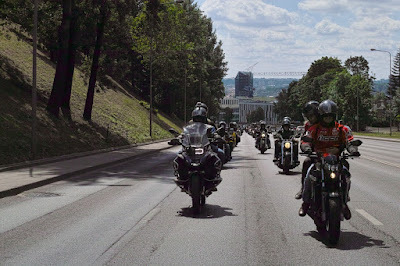 “An avalanche of senses poured forth: the potency of motorbikes, the powerful sound of speeding engines, leaning into curves, the rushing of wind. 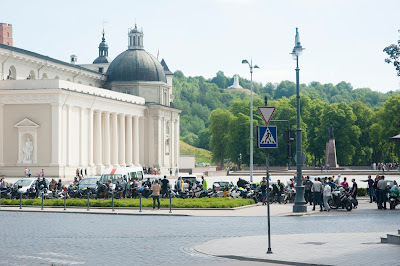 The smell of meadows and forests nearby, the burst of warm and cold breezes as my heart beat faster and faster with acceleration” – Sigitas Sinkevicius, blind physical therapist who took part in the first and second RIDE2SHARE event in Vilnius, Lithuania. 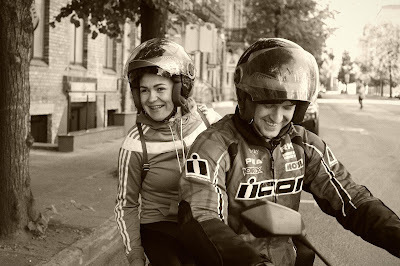 RIDE2SHARE is a project offering free motorcycle rides to the blind and visually impaired. 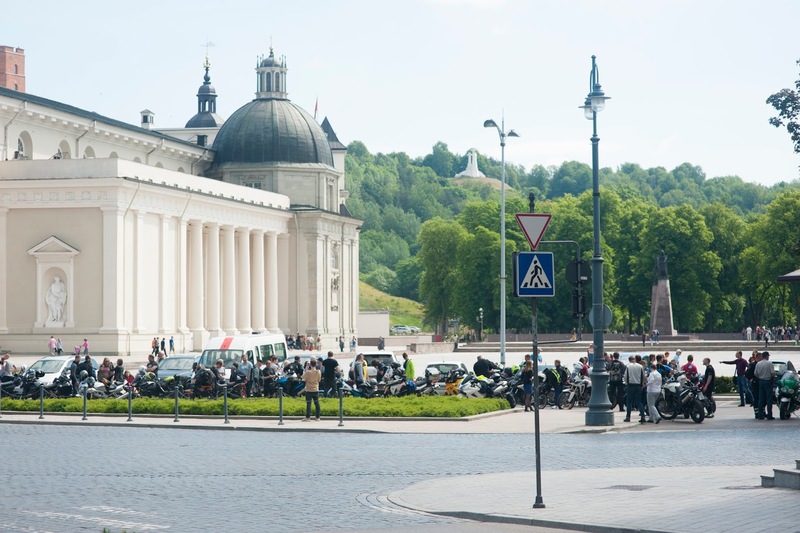 In 2017 and 2018, I organized RIDE2SHARE event in Lithuania, where 150 participants took part each year. Partnering up with the Lithuanian Association of the Blind and Visually Impaired, I had the privilege of organizing multiple ride-outs throughout the country, where riders were coupled with their visually impaired passengers. The result was absolutely amazing! 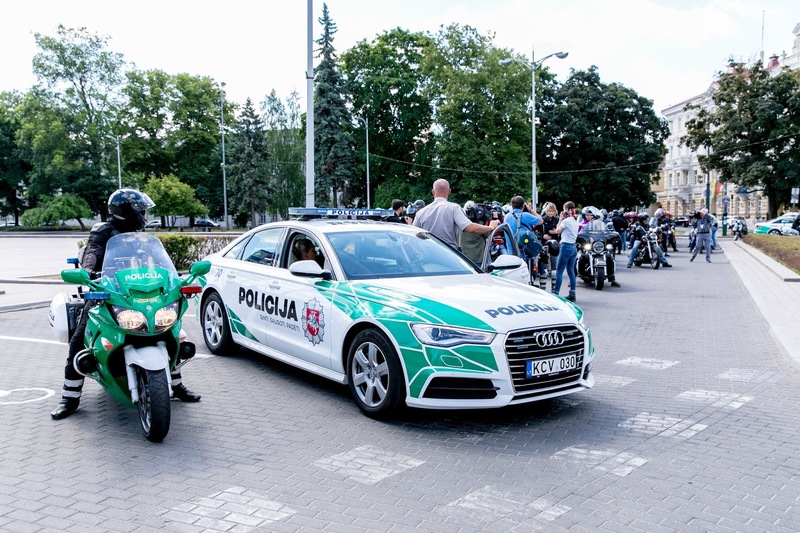 RIDE2SHARE 2017 was nominated for the award of “Overcome Obstacle” at Equal Opportunities Office in Vilnius, Lithuania. I got fantastic feedback from both the riders and the pillions, and I’m eager to keep the project going! 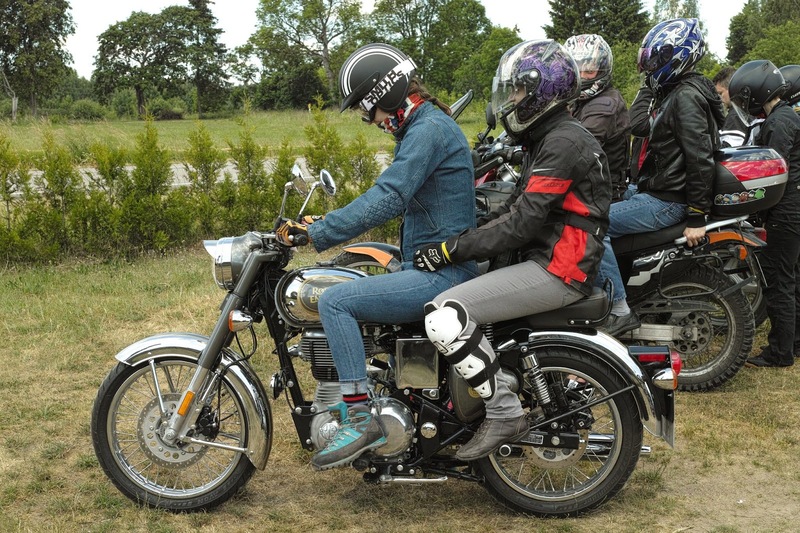 - It’s an amazing opportunity for the blind and visually impaired: experiencing the freedom of motorcycling, feeling empowered and being encouraged to try different things. Some of the participants of the first RIDE2SHARE were inspired to try flying and driving cars! 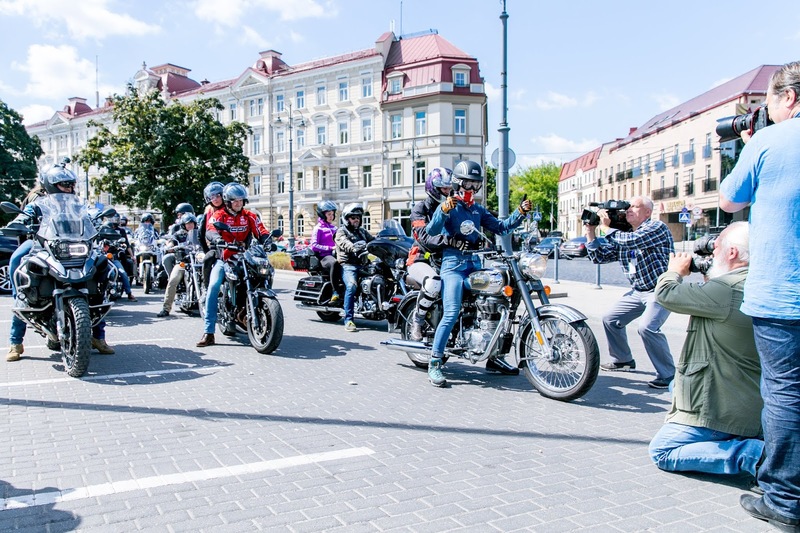 - This project enables the blind and visually impaired to experience motorcycling all over the country, not just in their local community or club. The experience is location-independent which is important. - It gives new meaning to motorcycling – all riders who gave rides to the visually impaired said they felt inspired to share their love of motorcycling even more. - It proves (dis)abilities are meaningless when people share an incredible experience with each other and become friends. 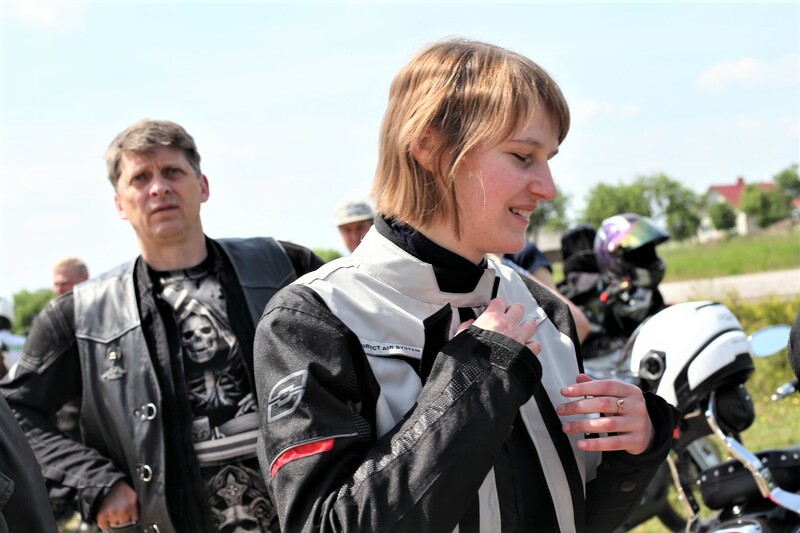 I’m Aldona Juozaitytė-Pieva, a passionate motorcyclist from Lithuania, and as a fourth-generation teacher, I love to share my love for motorcycles with others. Teaching, writing, and organizing motorcycle events are my strong suits, and I’m excited to be able to give motorcycling a new meaning. I’ve been riding motorcycles on and off the road for ten years now. “You can describe a rainbow very accurately, but can you imagine it if you've never seen it? I can describe RIDE2SHARE very accurately, but how do I express all the feelings I experienced? The spring is here, and I can hear motorcycles in the streets already. 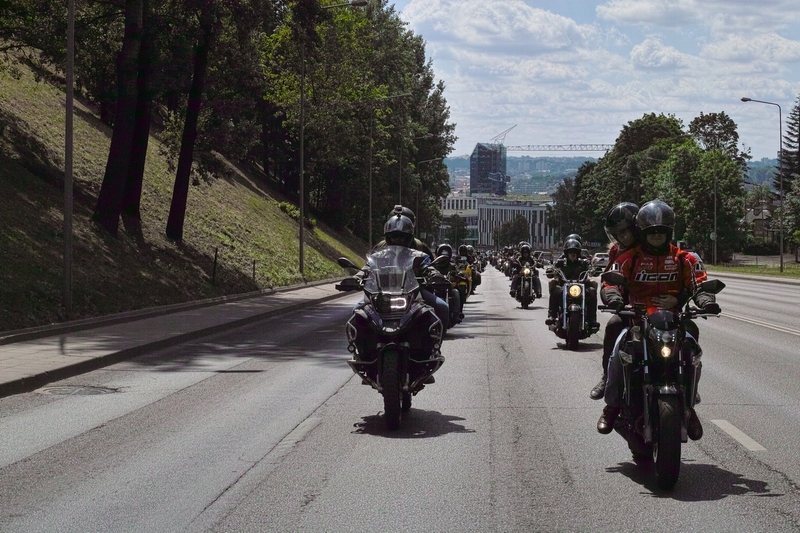 I can't wait for this year's RIDE!“ – Sigitas Sinkevicius.